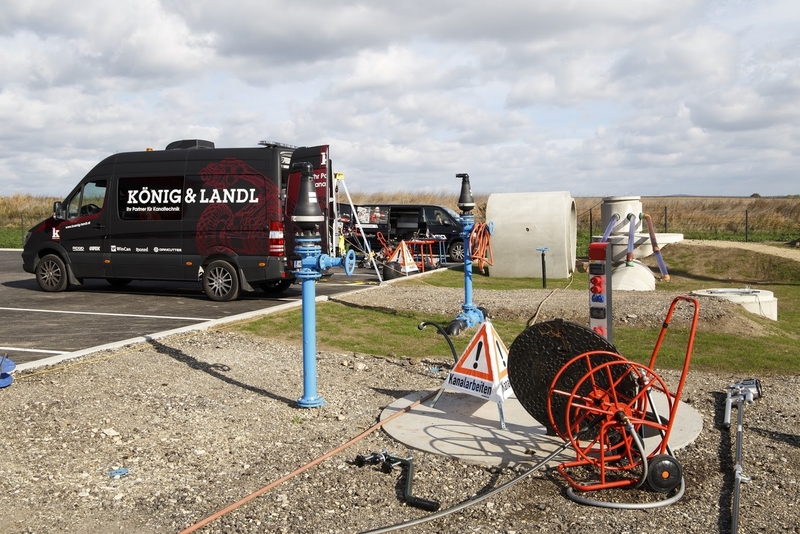 In October 2017, long-established Rioned Partner König und Landl opened a new sewage technology center in Hollabrunn, Austria. By doing so, a long-cherished wish of the industry is finally becoming reality: a professional center that has everything needed to test and try sewer equipment. The independent, approximately 200 m long, underground site consists of drains from DN 150 mm up to 1800 mm, made out of 13 different materials including concrete, plastics and clay. There are 12 manholes and 50 hidden damages for training purposes. 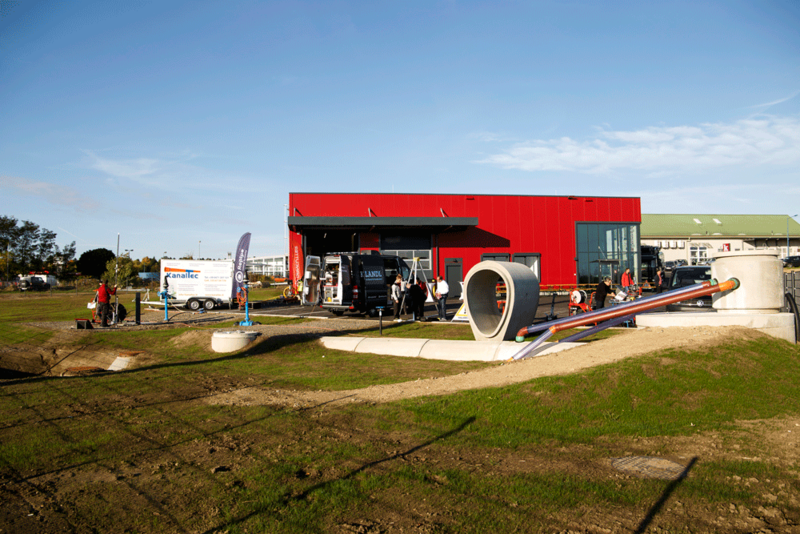 The facility runs cleaning-, inspection-, locating-, safety- and pipe rehabilitation classes for Austrian users. The modern training room on-site sets new standards in the field of training and education of operators. With more than 35 years experience in the market, König & Landl offers a wide product range for sewer equipment that includes all Rioned products as well as drain cameras and hand tools. The professional workshop in Hollabrunn is capable to maintain and repair all jetting equipment and is also well-equipped for vehicle conversions and installations of machines. Stephan Hemberger, Managing Director at König & Landl, quoted: ‘’We have compiled a comprehensive training program so our customers can do their work better and faster. Because the best tools, machines and the most functional software are of no use if you don’t know how to operate them. The combination of our state-of-the-art training room for 25 persons with our extensive outdoor facilities and testing premises has also convinced our partners to start some of their training with us in Hollabrunn. With opening this test centre, König & Landl has put a major step towards further professionalization of their business. Their customers now see them as more than a full partner in the field of sewer cleaning, inspection and rehabilitation. We, as Rioned, want to thank König & Landl for the pleasant cooperation and hope that there are many more successful years to come. Meet Rioned around the world!